A diagnostic system developed at the Technion-Israel Institute of Technology enables rapid and accurate customization of an antibiotic to a patient. If the system is commercialized, patients with life-threatening infections or in need of urgent treatment will enjoy faster diagnostics, earlier and more effective treatment of infectious bacteria and improved recovery times. The findings related to the new Technion diagnostic system were published recently in the Proceedings of the National Academy of Sciences (PNAS). Antibiotics are one of the most effective ways to treat bacterial infections. But widespread use of antibiotics accelerates the development of resistant bacterial strains. In fact, in June, the World Health Organization updated its Essential Medicines List with new advice on use of antibiotics. In 2014, infections with antimicrobial resistance (AMR) claimed the lives of more than 700,000 people worldwide, in addition to a cumulative expenditure of $35 billion a year in the US alone, reports the Technion. According to established estimates, for every hour that effective antibiotic treatment is delayed, survival rates drop by about 7.6% for patients with septic shock. 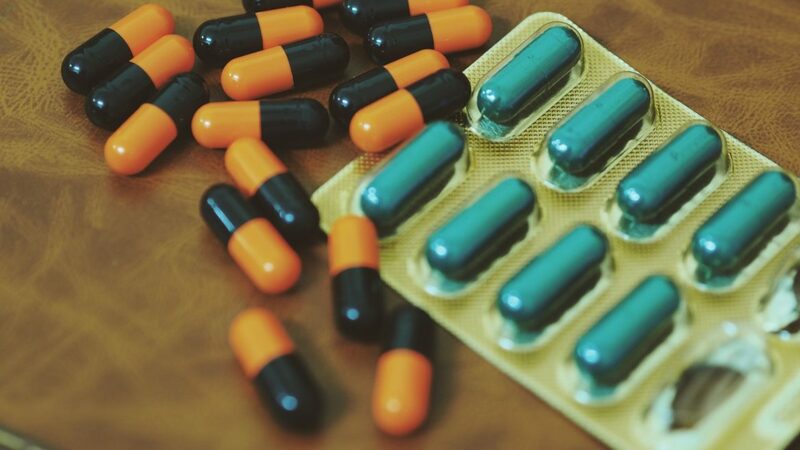 Therefore, in order not to leave the patient without adequate protection while awaiting the results, many doctors will prescribe an antibiotic with a broad spectrum of activity in large doses. This phenomenon facilitates the emergence of AMR and also affects the microbiota – the population of “good bacteria” found in the human body that protects it. “Every day, tens to hundreds of tests are carried out at every hospital in Israel to map the resistance levels of infectious bacteria from samples taken from patients. The problem is that this is a very long test, since it is based on sending the sample to the lab, growing a bacterial culture in a petri dish and analyzing the culture. This process requires relatively large sampling and usually takes a few days, in part because the workday at labs is limited to around eight hours,” said Technion doctoral student Jonathan Avesar, one of the researchers on the new system. The innovative system developed at the Technion, called the SNDA-AST, quickly analyzes bacteria isolated from patients with infections and assesses their level of resistance to specific antibiotics. This enables the healthcare team to choose the most effective antibiotic a day earlier than when using traditional methods. Technion researchers demonstrated the ability to test bacteria directly from patient urine samples, thus skipping the isolation step and potentially saving two days for patients with urinary-tract infections. They developed a chip with hundreds of nanoliter (1,000 times smaller than a milliliter) wells inside it, each containing a few bacteria and a specific antibiotic. Detection of the bacterial response is done using a fluorescent marker, image-processing tools and statistical analysis of the colors obtained from the bacteria in all the nanoliter wells. The study tested 12 bacteria-antibiotic combinations. “The use of the technology that we developed reduces the size of the required sample by several orders of magnitude, reduces the scanning time by around 50%, significantly reduces the lab space required for testing and reduces the cost per test,” said Avesar. The study was led by Prof. Shulamit Levenberg, dean of the Technion Faculty of Biomedical Engineering, and was carried out in her lab by Avesar, postdoctoral student Dekel Rosenfeld and doctoral student Tom Ben-Arye. Also contributing were Assistant Prof. Moran Bercovici of the Technion Faculty of Mechanical Engineering, doctoral student Marianna Truman-Rosentsvit and Dr. Yuval Geffen, head of the Microbiology Laboratory at Rambam Health Care Campus in Haifa. The study was funded by a KAMIN grant from the Israel Innovation Authority and the Israeli Centers of Research Excellence (I-CORE). ISRAEL21c is a non-partisan, nonprofit organization and the publisher of an English-language online news magazine recognized as the single most diverse and reliable source of news and information about 21st century Israel. Our website offers a vast resource of more than 10,000 originally researched and produced articles, videos, images and blogs by some of Israel’s leading journalists, uncovering the country’s rich and diverse culture, innovative spirit, wide-ranging contributions to humanity, and democratic civil society. Every week we reach millions of people through our website, social media channels, and e-newsletter. 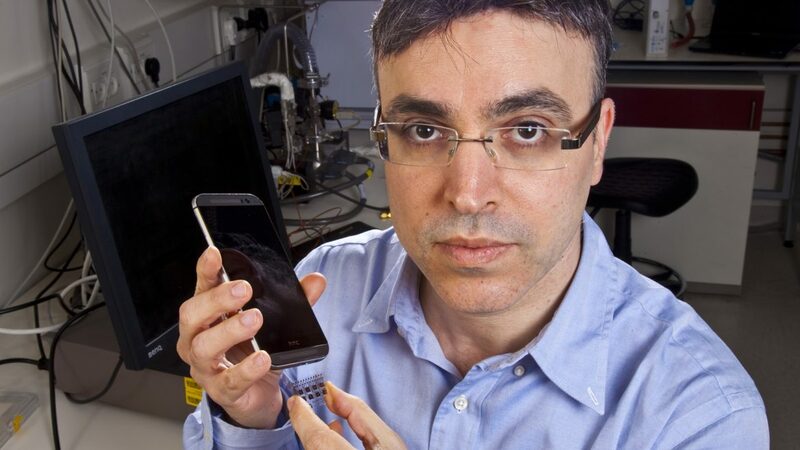 If there is such a thing as a science superstar, it might be Hossam Haick, Professor of Chemical Engineering and Nanotechnology, Technion-Israel Institute of Technology. Haick has been working on what he calls the Nanose since 2007. This remarkable device is designed to “sniff out” cancer and other diseases, including Parkinson’s, Alzheimer’s, gastric ailments, and more. See the full article for the interview. Multiple sclerosis, one of the most devastating neurodegenerative diseases, affects some 2.5 million people worldwide and has no known cure. Researchers have long speculated that MS is triggered by the body’s own immune system unleashing an uncontrolled attack on myelin sheaths that protect nerve cells (neurons). A study published by Israeli scientists in the Journal of the American Chemical Society (JACS) pinpoints a structural instability in the myelin membranes, the “insulating tape” surrounding neurons. This vulnerability seems to be what gives the immune system access to otherwise protected regions. “We found that small modifications in the myelin sheaths create structural instabilities that may help the immune system to enter and attack neurons,” said principal investigator Prof. Roy Beck of Tel Aviv University’s School of Physics and Astronomy and Sagol School of Neurosciences. “Current therapeutic approaches have focused on the autoimmune response without identifying a clear mechanism. 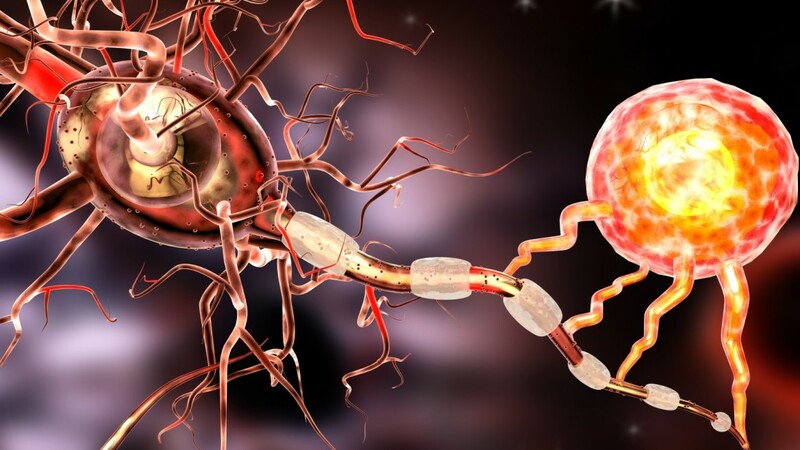 Our research suggests a new avenue for multiple sclerosis therapies and diagnostics,” Beck said. Axons, which carry electrical impulses in neurons, are surrounded by protective myelin sheaths. In MS, an autoimmune “error” mistakenly identifies these sheaths as hostile foreign entities and breaks them down. The research, conducted by Rona Shaharabani, a doctoral student in Prof. Beck’s lab, pinpoints the precise alterations to the myelin sheaths that result in structural instabilities, creating “easy access” for autoimmune attacks. “After years of research, we were amazed to discover that a possible trigger for the outbreak of the disease could be found in the membrane’s physical structure,” said Beck. He explained that the lipid-and-protein building blocks of the myelin sheaths give the membrane a shape that is critical to their functioning. For the purpose of the research, the scientists harnessed X-ray light to examine hundreds of membrane model systems that mimicked those of healthy and diseased animal models. In collaboration with Prof. Ruth Arnon of the Weizmann Institute of Science in Rehovot, co-developer of the leading MS drug Copaxone, and Prof. Yeshayahu Talmon of the Technion-Israel Institute of Technology in Haifa, the team also used electron microscopy to determine the different nanoscopic structures of both natural myelin sheaths and model system membranes. “The next step is to find a way to reverse the disease progression and find new techniques for early detection,” said Beck. Injecting a molecule called Agrin into damaged mouse hearts leads to muscle repair. Studies on larger animals are beginning soon. Researchers in Israel report they have discovered a molecule in newborn hearts that appears to control the process of renewing heart muscle. 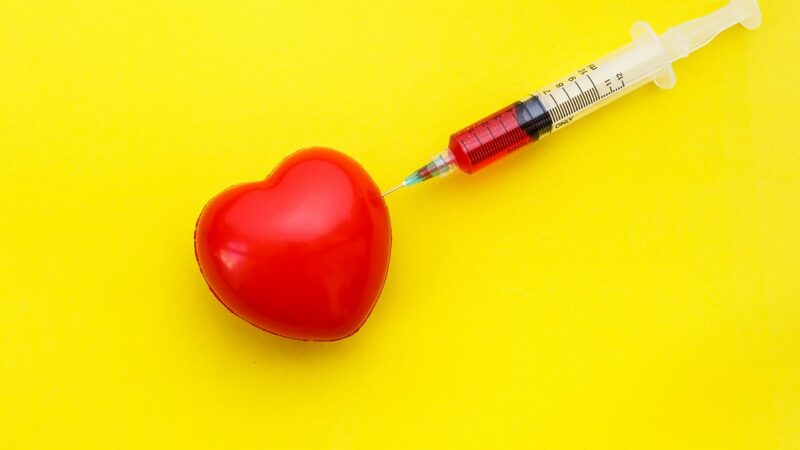 When injected into adult mouse hearts injured by heart attacks, this molecule, called Agrin, seems to “unlock” that renewal process and enable heart muscle repair – something never seen in human heart tissue outside of the womb. These findings, published June 5 in Nature, point to new directions for research on restoring the function of damaged hearts. Heart disease is the leading cause of death worldwide. The healing process following a human heart attack is long and inefficient, explained Prof. Eldad Tzahor of the Weizmann Institute of Science, who led the study together with doctoral student Elad Bassat, research student Alex Genzelinakh and other Weizmann molecular cell biologists. Once damaged, muscle cells called cardiomyocytes are replaced by scar tissue, which cannot pump blood and therefore place a burden on the remaining cardiomyocytes. Heart regeneration can happen in utero for humans, but some vertebrates retain this ability after they’re born. Mice hearts can regenerate only for the first week of life. Those seven days gave the Israelis an opportunity to explore the cues that promote heart regeneration. Tzahor and Bassat zeroed in on the surrounding supportive tissue known as the extracellular matrix (ECM) through which cell-to-cell messages are passed or stored. When bits of ECM from newborn and week-old mice were added to cardiac cells in culture, the younger ECM caused cardiomyocytes to proliferate. Agrin, a protein present in ECM, already was known to help regulate the signals passed from nerves to muscles. In mouse hearts, levels of this molecule drop over the first seven days of life, suggesting a possible role in heart regeneration. When the researchers added Agrin to cell cultures, they noted that it caused the cells to divide. Next, they found that mouse hearts were almost completely healed and fully functional following a single injection of Agrin. Although this recovery process took more than a month, the scar tissue was dramatically reduced, replaced by living heart tissue that restored the heart’s pumping function. Tzahor speculates that in addition to causing a certain amount of direct cardiomyocyte renewal, Agrin somehow affects the body’s inflammatory and immune responses to a heart attack, as well as the pathways involved in suppressing the fibrosis, or scarring, which leads to heart failure. The length of the recovery process, however, is still a mystery, as Agrin disappears from the body within a few days of the injection. The team then proved that Agrin has a similar effect on human heart cells grown in culture. Members of Tzahor’s team have started pre-clinical studies in larger animals in Germany in collaboration with Dr. Christian Kupatt of the Technical University of Munich to determine the effect of Agrin on cardiac repair. Several research groups took part in various stages of the research: Prof. Shenhav Cohen of the Technion-Israel Institute of Technology and her PhD student Yara Eid; Prof. Nenad Bursac of Duke University, North Carolina; James F. Martin of Baylor College of Medicine in Texas; members of the Nancy and Stephen Grand Israel National Center for Personalized Medicine at the Weizmann Institute; and Prof. Irit Sagi of the Weizmann Institute’s Biological Regulation Department. Tzahor’s research is supported by the Yad Abraham Research Center for Cancer Diagnostics and Therapy, which he heads; the Henry Krenter Institute for Biomedical Imaging and Genomics; the Daniel S. Shapiro Cardiovascular Research Fund; and the European Research Council.